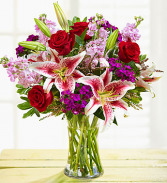 All time favorites, fragrant oriental lilies, roses mixed with other seasonal flowers! Hanging Patio Gardens Galore! We are known for our selection of beautiful selection of Patio Plants and Decorative Planters and Fountains! Inventory changes rapidly so give us a call if you are looking for something specific. 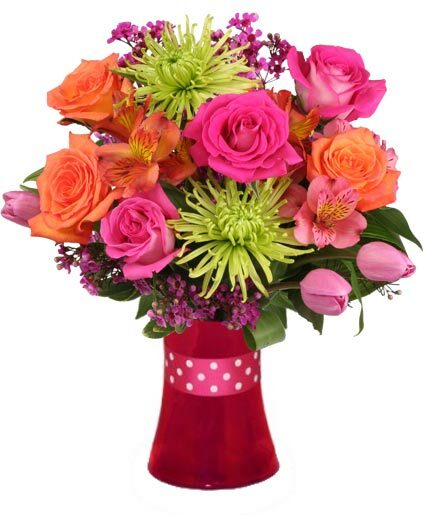 A basket filled with a colorful mixture of our longest lasting flowers!